Alice Lloyd College students are taking part in Read Across America. The event takes place each year and encourages reading throughout schools. The event is scheduled in March to correspond with Dr. Seuss’ birth month. 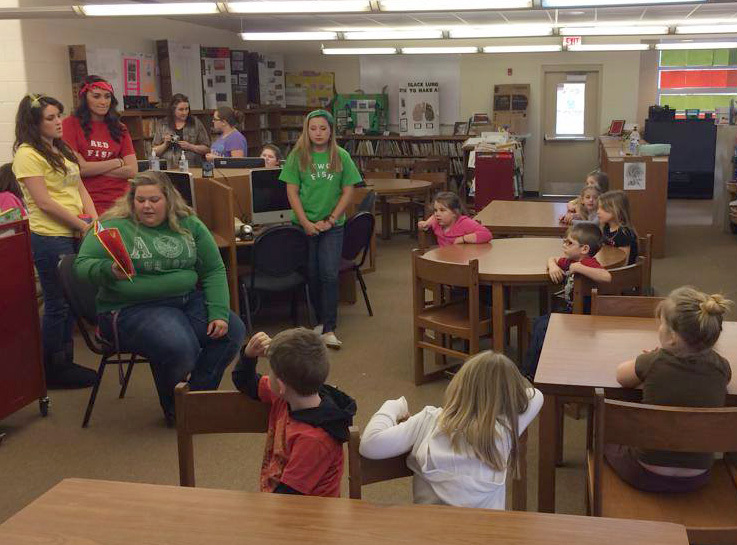 Alice Lloyd College KEA-SP (Kentucky Education Association – Student Program) participate in at least 2 schools in the Knott County area. The students read popular children stories to kindergarten through third grade students. They not only read the books aloud, but also do different activities and crafts with the students that correspond with the book they are reading. The students that participate also dress up as Dr. Seuss characters which the students thoroughly enjoy. However, KEA decided to make things a little different this year. According to new KEA President Brooke Tyree, “This year will be a little different because we have invited everyone to participate; not just those involved in the education program here at Alice Lloyd College. Those who participate will receive a convocation credit as well.” It’s important that students are shown that reading is fun! This event was originally planned for March 5th, the event was postponed due to the severe weather in Eastern Kentucky. The new date will be announced when Alice Lloyd College returns from Spring Break.